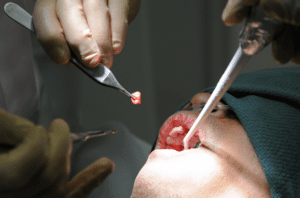 Not all dentists can perform a tricky surgery like dental implants. You cannot approach a general practitioner who performs your regular cleanings and check-ups for fixing dental implants in Melbourne. Only dentists with advanced training in dentistry like the oral surgeons, periodontists or prosthodontists are capable of this task. Take your time and research well so that you would find the right dentist with the required set of skill and expertise. Dental implant candidacy is based on various factors like medical conditions and lifestyle. Make sure that you are fit and have the adequate dental structure for the surgery. If the dental implant surgery is performed on those who don’t fit the right criteria, then it could result in implant failure. So approach 2-4 dentists to confirm if you can have dental implants. Even if you are not a candidate, your dentist can help you receive implants by performing auxiliary techniques like bone grafts in most cases. But sometimes, you need to make some serious lifestyle changes like quitting personal habits and taking persistence care of your oral hygiene. This means travelling to a foreign country to receive dental care at a cheaper price. Many people consider getting dental implants overseas in order to save some money. Also, various travelling agencies offer attractive packages that combine dental treatment with exotic vacations. But think twice before falling for overtures that sound too good to be true. You cannot know about the quality of service you would receive over there. On the other hand, dental implant cost in Melbourne might be higher. But at least you do not have to worry about the quality of care and materials. The dental implants need time to heal and you would be asked to rest properly before resuming your regular activities. During the healing period, you need to avoid certain foods, smoking and drinking. Also, it is mandatory to maintain proper oral hygiene. Otherwise, the wounds would not heal faster. Additionally, lack of care could cause infection, which can severely affect the implants. Avoid committing these mistakes if you want to get your natural smile back.